are specially engineered to provide a beautiful, mood-enhancing level of light at standard line voltage. Most will operate with a normal life expectancy, all the way up to 240 volts. 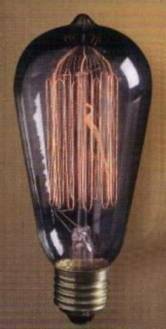 The wonderful glow from the special filaments is reflected magically in the crystalline envelope of the clear bulbs.